Walking her dogs after a beautiful spring rain, Meeshka noticed the wet ginkgo leaves stuck to the rear windshield of a car. When she got home she sketched. 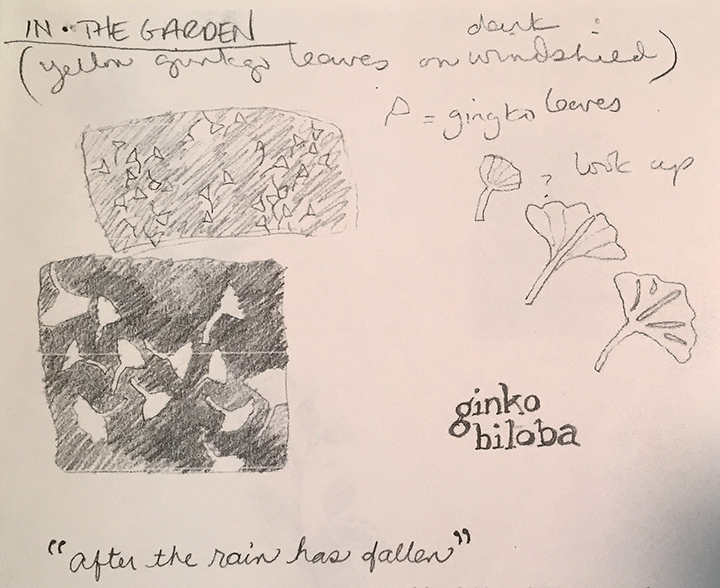 Originally destined to become part of the In The Garden line, she wound up creating a separate ginkgo line. The variety of leaf types of these beautiful trees are beautiful. To this day Meeshka can never seem to spell ginkgo right.